Independence Day was a phenomenon in 1996. The marketing blitz was astounding. That movie was everywhere, and as a newly minted 14-year-old, I was the perfect age to eat it up. It had impossible stakes, fun and interesting characters, and mind-boggling special effects that were unmatched for the time. Twenty years later, now we have Independence Day: Resurgence, a movie that has, in all likelihood, been bouncing around Roland Emmerich and Dean Devlin‘s minds for 2 decades. In so many ways, Emmerich tries to re-capture the magic of the original, with old and new characters and even more effects. While I don’t think the movie is a failure, I also don’t think it lives up to its past. 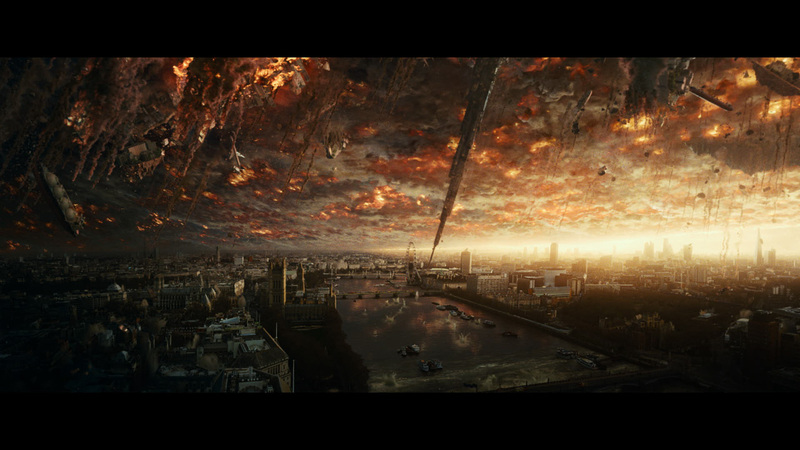 ID4 took out the White House, the Empire State Building, and some random building in Los Angeles. These are epic, iconic moments in film-making that nearly everyone has seen (or, at least images of those scenes). The closest Resurgence gets to that is the picture above (spoiler alert?…it was on posters and in trailers…deal with it…). Don’t get me wrong, it’s a cool scene, but it isn’t iconic. In 20 years, no one will remember that scene. In this effects-driven era of movie making, something like that just isn’t as impressive anymore. Speaking of “impressive,” I remember watching the special features on the ID4 DVD set, fascinated by how they used practical effects to make fire travel sideways down city streets (they ended up building a model set, turning it on its side, and using the small buildings as a chimney for fire to pass upwards through). Resurgence just relies on CGI. A lot of CGI. Granted, these effects don’t look bad in the least, but there’s so much of them, it just isn’t as impressive anymore. It’s almost lifeless. With regards to the characters, we’ve got many old faces returning, including Bill Pullman, Jeff Goldblum, Brent Spiner, Vivica Fox and Judd Hirsch. For the most part, these characters are given the right amount of stuff to do, while still providing ample time for The New Class (Liam Hemsworth, Jessie Usher and Maika Monroe) to do their thing. Overall, they do okay, but they aren’t Will Smith (painfully absent), and they don’t have the chemistry that Smith and Harry Connick, Jr. had. Again, it just feels somewhat lifeless, that they’re trying too hard and not hard enough all at the same time. Sela Ward is a perfect example of this, playing the President…though not nearly as well as Pullman did 20 years ago. That all said, Resurgence still had a decent story. It’s as simple as “more of the aliens return to Earth,” but also introduces a few new ideas that make it more than a re-hash of the first one. It honors the mythology of the original while also “expanding the universe” beyond its current borders, making it very obvious they want to franchise it out into more movies. Based on its current box office performance, that dream may be in doubt. Ultimately, we enjoyed it. It wasn’t offensively bad, which compared with some of Emmerich’s other movies, it could have easily gone that way. Resurgence does its best to raise the stakes beyond what the original did 20 years ago and makes some obvious stumbles along the way, but it was still worth seeing. I think it’s safe to say that one of the earliest movies my parents remember me liking was Ghostbusters. I somewhat famously watched on a nearly daily basis for one summer (a “sanitized” version, of course). In another 20 years, I suspect that the movie we will look back on that Meg watched constantly for a long period of time is Finding Nemo. Granted, she didn’t memorize each and every line from it like some of us did for movies in the mid-80s, but she watched it at home and in the car to a point where Brooke and I were getting a bit tired of it. Fast forward a few years to the announcement of a new movie in the franchise, just at the age when Meg can appreciate it, but releasing 13 years after the original: Finding Dory. And it released on June 17th, right before my birthday, so Meg and I decided awhile back that we’d go “for my birthday” (awwwwww…). 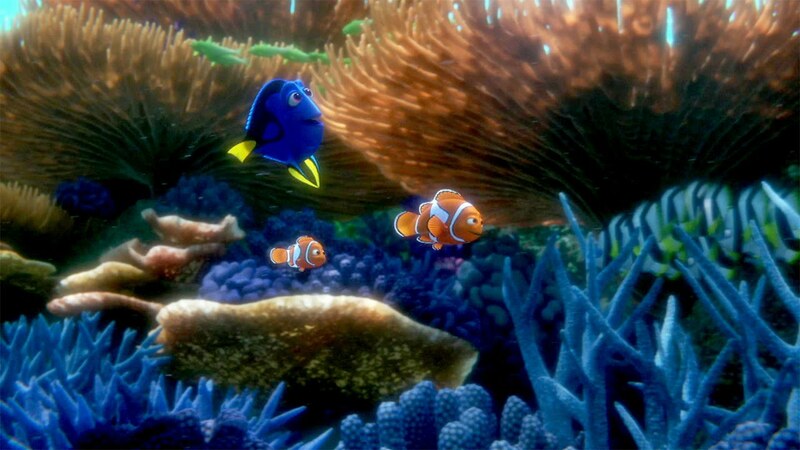 The story centers on Dory and her journey from childhood as a young fish with short-term memory loss, on up through the events of Finding Nemo (there’s a brief flashback to when she met Marlin), and then finally to about a year later. A lot of the movie is told in flashbacks back to Dory’s childhood as she remembers specific events around the time when she lost her family. As each detail pops back into her little fish brain, she gets another clue to lead her back home and, of course, Marlin and Nemo come along for the ride. It goes without saying that the production values are spectacular, from the animation to the voice work. Quite a few actors are attached to the movie, including some of the originals (Ellen DeGeneres and Albert Brooks, though Alexander Gould was replaced by Hayden Rolence because of, well, puberty…), and they perform just like it was 13 years ago in the original film. Newcomers like Kaitlin Olson, Ty Burrell, Diane Keaton, Eugene Levy and Idris Elba also make their marks, though in many cases, more screentime would have been great. They’re memorable new characters, much like the “aquarium crew” in the first film were, and they do a great job filling out the story a bit. Ed O’Neill as the “septapus,” Hank, steals the show in many respects, partially because of the intricate animation of an octopus sliding across the floor and using camouflage, but also because his curmudgeonly demeanor serves as a good foil for Dory’s otherwise sunny disposition. The story itself isn’t quite as strong as Finding Nemo was, but perhaps it’s just because I haven’t seen it countless times (yet). Multiple reviews for the film have rightly pointed out that Finding Dory is really about living with disability, and on that level, I agree that it succeeds. At the same time, while Pixar pushes that boundary forward for kids to try and learn something out of their entertainment, I think it still goes over the heads of many kids. Meg really didn’t “get” Inside Out when we watched it last year, but over time, I bet she’ll understand it more and more, and likely, Finding Dory will also work on that level eventually. Right now, Finding Nemo is a show (for Meg) about a kid that gets lost, and the parent that does everything to find him. Finding Dory, as Meg said during the movie, wasn’t really about “finding Dory” because she doesn’t get lost the same way Nemo does. Eventually, Meg will understand that “finding” has a few different meanings in this context. As an adult, I get that. As a 6-year-old, Meg isn’t quite there. As has become painfully obvious by now, I’m a fan of the Marvel Cinematic Universe, and though Captain America himself isn’t my favorite, his third “solo” outing, Captain America: Civil War was an exciting prospect for me because it still brings in lots of characters from across multiple movie franchises. To be honest, I built this movie up in my head quite a bit because there have been reviews floating around for, literally, at least a month now. It’s been hyped up to such a degree that it was bound to be disappointing on some level and, indeed, it was…just a little bit. Don’t get me wrong: it’s still good. Maybe even great. But I think I liked Captain America: Winter Soldier better. The Russo Brothers were back on-board to direct this one and while the pair of them were able to hold the movie together against all odds, I think the story, as a whole, suffered under its own weight. Seriously. It’s easier to count who wasn’t in this movie instead of who was, because nearly everyone was in it. We had Captain America, Bucky Barnes, Iron Man, War Machine, Scarlet Witch, Vision, Hawkeye, Black Widow, Ant-Man and Falcon from the previous movies…and then introduced Black Panther and Spider-Man on top of all of that. The introduction of these two characters is intended to set up their own movies within the MCU, but they each had 15-20 minutes of screen time focused on them, which in a 2.5 hour movie means that you then only have about 2 hours to work with for all the other folks I just listed. Taking a step back, the movie very loosely centers around the Civil War series of comics, where this time around, the United Nations and its associated world powers want to set up a hierarchical protocol where the individuals with superpowers are kept “in check,” under control of the UN. Captain America doesn’t want to give up his right to do what needs to be done to stop evil-doers, while Iron Man thinks they have too much power and need to be reined in a bit. But this is all complicated by the villain, Baron Zemo, who wants to create a series of “Winter Soldiers” a la Bucky Barnes, and ends up framing Barnes for the assassination of King T’Chaka, the father of T’Challa (who is also Black Panther). Zemo has almost literally nothing to do with any of this, but they need a villain, so there he is. He’s incidental to the whole enterprise. Barely essential. I could go on, but the “Civil War” storyline is complicated enough without also trying to bring in Black Panther and then Spider-Man. Both of these characters are awesome on screen, and in their own way, they make sense why they’d be there. But at the same time, I’d rather see the focus stay on the rift between Tony Stark and Steve Rogers, rather than bringing in all the extraneous story in service of the MCU. The fight scenes are really cool, there are some genuine “cheer”-type moments, and good-natured Marvel humor injected throughout. The relationship between Bucky Barnes and Steve Rogers is in full display in contrast to the strained relationship between Rogers and Tony Stark (which began in Avengers: Age of Ultron). But again, with all the stuff happening in the story, I feel like the plot suffered. Captain America: Winter Soldier had a focus to it – Bucky and Steve’s relationship – that was at the center of a feud between S.H.I.E.L.D. and Hydra. Both elements tied together very nicely, and even brought in some bigger “Government Control Is Bad” themes. But Captain America: Civil War doesn’t tie these elements together nearly as deftly, in my view. I’m absolutely glad I saw it, and I’m definitely going to buy it. Spider-man was awesome to see on screen again, and his stand-alone movie will likely be really, really good. These characters are all in this conflict because of multiple movies’ worth of build-up, and that all makes sense. I guess I just wanted a bit more focus out of it. Overall, I thought it was “good.” I wouldn’t say it’s a “great” film – just “good.” There are actually elements of the movie that were legitimately “great,” including the acting and special effects. Unlike the Prequel Trilogy, which was largely terrible (with the possible exception of the third one…), the acting was solid among the new and old cast. As everyone knows at this point, Harrison Ford, Carrie Fisher and Mark Hamill were all back in varying (or even limited) capacities in this movie, and did a good job evoking their characters from the Original Trilogy. However, I was especially impressed with the acting chops of the new cast and how well they fit into the universe. Oscar Isaac was perhaps the best-known actor on this list, but newcomers like John Boyega and Daisy Ridley really stole the show, wiping away the stench of Hayden Christensen in the Prequels (ew…). With regards to the effects, again, J.J. Abrams relied more heavily on practical effects this time around, unlike George Lucas in the Prequel Trilogy, who had nearly every scene in front of a green screen. Sure, there was a ton of CG in The Force Awakens, but it wasn’t over-done this time around. CG characters were better integrated into the background. Buildings were inserted into actual, live environments rather than having the entire environment built on a computer. It was much easier to “fall into the world” watching this movie, as it was easier to convince yourself that everything you were looking at on the screen was real. My main gripe with the movie concerns the story. It isn’t that the story is “bad” – it isn’t. But it’s absolutely derivative. Perhaps I was clouded by post-release articles, when everyone was talking about it, but The Force Awakens is absolutely a remake of Star Wars: A New Hope. Not shot-for-shot, but in the critical story beats, it’s totally that original movie. Stop me if you’ve heard this one: Rebels find some critical information that they’re trying to keep away from the bad guys and store it in a droid. That droid, on a desert planet, happens to find a young person who also happens to, we come to find out, be “strong in the Force.” That person hooks up with a “bad guy with a good heart” kinda person, as well as an “older mentor,” as they try to return this stolen information to the Rebellion. All the time, they’re being chased by a evil guy in a black mask that can Force Choke you. I’ll stop right here to limit potential spoilers, but seriously, take all those characters I just mentioned and continue on through A New Hope and you’ll know what happens. Now, does the story follow it exactly? No. Some things happen in a different order. There are also gratuitous scenes in this movie that are intended to evoke the original movie (like when the two main characters, Rey and Finn, happen across the Millennium Falcon, on that desert planet that they happen to be on), and obviously those scenes wouldn’t have existed in the first movie. There’s a great deal of nostalgia here, definitely, but that’s most of what this movie has going for it. 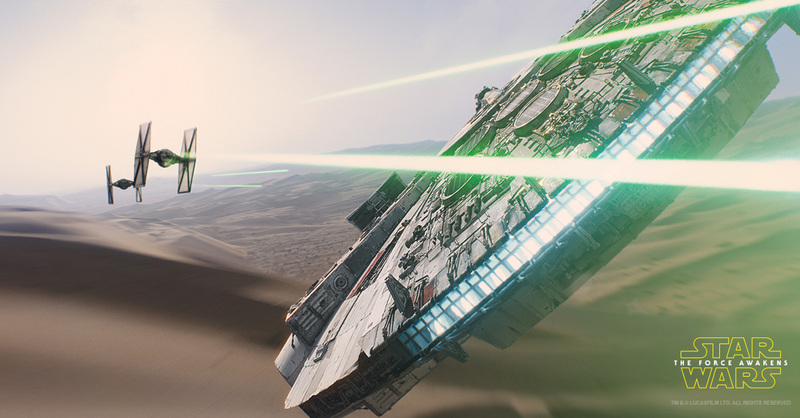 Which is to say, if nostalgia is what you’re looking for, The Force Awakens has it in spades. It’s intended to make you feel like a kid again, seeing Star Wars for the first time. It’s intended to remind you of what made you like the Original Trilogy and why no one (except demented, horrible people…) like the Prequel Trilogy. But it isn’t an original story. Heck, A New Hope wasn’t even an “original story,” as it was just ripping off the classic “Hero’s Journey” monomyth. But it at least put it in a sci-fi setting with a budget that could really wow an audience. I took Meg to her second theater-based movie this past weekend, and her first in 3D. She’s a fan of most Pixar movies and, while we weren’t originally keeping an eye on this movie (unlike Finding Dory), Brooke read a few blog posts suggesting that Inside Out may be helpful for young kids (girls, especially) to visualize their feelings, especially as young people tend to get rushes of emotion and don’t necessarily know how to deal with them, or how to express the complexity of what they’re experiencing. 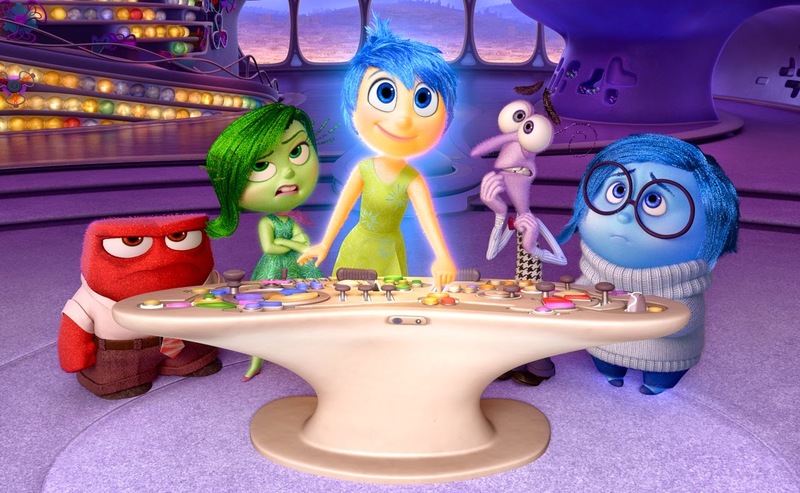 Inside Out centers on an 11-year-old girl, Riley, whom we meet at birth. At that time, we also meet Joy, her one and only emotion. Over time, other emotions appear as Riley gets older: Sadness, Anger, Fear and Disgust. 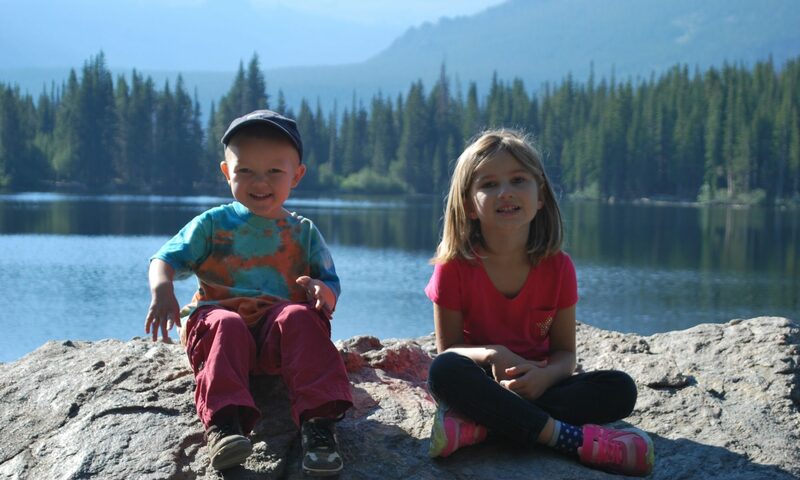 Ultimately, these five emotions work together to help Riley navigate her life, frequently conflicting on how exactly Riley should be “controlled” in a given situation. Sometimes Disgust needs to take over (when broccoli is presented to Riley), while other times, Fear is the one in control. All of this action appears in a “Control Center,” of sorts, where each emotion works at a control board to control Riley, and new memories are formed and sent off for storage. The action balances between Riley and her interactions with her peers and parents, and the emotions inside Riley’s head. Without spoiling the finer points of the plot, the writers provide an interesting take on Riley’s entry into adolescence, giving the viewer an intriguing take on how a kid can go from jubilant and goofy, to morose and reserved. As an adult, I can recognize this shift pretty clearly, as someone that went through it at some point in my life. It’s intriguing to think back on how my emotions changed during the first decade-and-a-half of my life, where memories come from, how you forget things over time, how things just “pop in there” randomly. Overall, I think it was really good. It blew over Meg’s head, but I certainly appreciated it. The voice actors they chose for each emotion were spot-on, between Amy Poehler (Joy), Phyllis Smith (Sadness), Bill Hader (Fear), Mindy Kaling (Disgust), and Lewis Black (Anger). I don’t think they did much motion capture of the actors while reading these lines, but I saw them in each of the oddly-shaped cartoons as they spoke. Hopefully, in a few years, Meg will appreciate it on different levels upon subsequent viewings. I guess that’s as good a mark of a successful film as any. The first movie I remember seeing multiple times in theaters was Jurassic Park. Pretty sure it was three times. And I was 11. I loved this movie and still think it holds up to a ridiculous degree, considering it’s over 20 years old and ushered in an era of CGI-based summer blockbusters. Seriously, I picked up the Bluray last week and we watched it this weekend. Those dinosaurs still look good, better than many other heavy CGI movies that come out today. The sequels were “decent,” at best. I don’t remember if I saw Lost World in theaters or not, but I know I didn’t watch Jurassic Park III until it was out for rental. Neither movie had as good a story, and both of them started to try doing too much with their effects. If I recall, many of the dinosaurs in Jurassic Park III looked about as good as what you see on any given Saturday night on SyFy Channel. Thus, the franchise died. Until it was revived, over a decade after the third iteration, in the form of Jurassic World. This movie all but retcons the middle two movies, returning 20 years later to Isla Nublar, which is now fully operational as Hammond’s dream theme park. They have their own Disney World main street equivalent, roller coasters, hamster wheels that let you drive among stegosaurus, triceratops, and diplodocus – truly a spectacle. As we’re quickly told by the park’s administrator, Bryce Dallas Howard, they have to constantly introduce new, scarier beasts to attract new guests to the park. Thus, they have taken to genetic engineering (carried out by BD Wong, the only returning cast member from the original), combining multiple species of dinosaur into a single animal, named Indominus Rex. Chris Pratt is brought in to consult on the enclosure for this fierce new dinosaur, followed shortly after by the escape of said dinosaur from said enclosure, leading the characters (and audience) on an epic chase through the island. Indominus Rex is clearly intelligent and uses its genetically-endowed defenses to escape from its captors at nearly every turn. InGen’s private military force, led by Vincent D’Onofrio, is brought in to try and contain the situation, though he has ulterior motives of proving that Velociraptors would make great soldiers in war zones to fight on behalf of the military. Yeah, you read that right. This is about the point where I couldn’t suspend my belief much more. Don’t get me wrong, we enjoyed the movie (Brooke saw a movie with me!!!). I caught myself smiling like an 11-year-old multiple times, any time I saw my “old friends” from the 1993 original, or they made some reference to the characters of that film. It really was quite good fan service. But I don’t think it was as good as the first one. I suspect it’s because I’m biased toward the property I grew up with, and this new one is for a generation 20 years younger than me. The two things that hold me back from loving this movie are the aforementioned Soldier Velociraptors, and the excess of CG effects. First, the raptors. 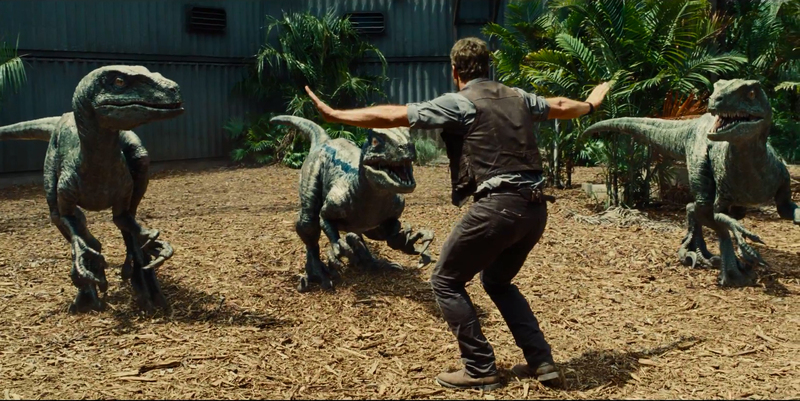 Chris Pratt is on the island because he’s training 4 raptors to follow commands. That part’s actually pretty cool. He isn’t doing anything all that complicated with them, but he demonstrates that he can get in the cage with them and can get them to follow simple orders, but only to the extent a trainer could do so with a lion: they’re still very, very dangerous. But D’Onofrio is there to get these raptors to follow orders, like “go chase that terrorist in Afghanistan,” and at this, I say “okay, that’s kinda nuts…why would you try to train a velociraptor, who were clearly smarter than the humans 20 years ago in the first movie, to act as soldiers?” It just wasn’t believable for me. I feel like the plot would have been stronger if Pratt was there training raptors for his own scientific ends, and D’Onofrio came in from InGen to solve the Indominus Rex problem, but they had no prior connection. The same plot points could have been there without certain key scenes, while keeping all the awesome action scenes. Secondly, the effects. Overall, they were good. We saw it in 3D here in Marshall, where the screen isn’t exactly IMAX, so perhaps I’m clouded by the less-than-stellar visual fidelity. In short, many of these dinosaurs were obviously computer generated, whereas I’m still fooled by some of them in the original movie from 20 years ago. Most of that comes from the fact that Spielberg used a mix of animatronics and computer animation to make a seamless experience, where each dinosaur felt huge and weighed down, adding to the realism. CG has a problem when you integrate it with the “real world,” where the creatures seem to “float” unnaturally and gravity doesn’t actually affect them because they aren’t a real thing. Animatronic animals from the original were actually quite heavy, and that showed when you watched the film – and the CG dinosaurs they used in certain shots were designed to match those animatronics in their slow, lumbering movements. That wasn’t a problem in this movie, as nearly all of the dinosaurs were CG animated. So while many of them shots looked really good in Jurassic World, there were others that pulled me out of the experience because I knew I was watching dinosaurs that weren’t really there, unlike the way I feel when I watch Jurassic Park. Regardless, it was a great movie. Brooke enjoyed Jurassic World quite a bit, but for my money, I prefer Jurassic Park so far as this franchise is concerned. If anything, Jurassic World was spectacular fan service in the callbacks it made to the original, and certain aspects of the original they brought back to this movie to remind you of the magic you felt in 1993. At least on that level, it completely succeeds. Thus, as I’m now out of classes for the semester, I took a trip into St. Louis to see Avengers: Age of Ultron with a buddy. I enjoyed the original movie quite a bit, so I’ve been looking forward to this one since trailers first debuted. While the first movie was just about everything I wanted to see in a confluence of Marvel franchises, the sequel is a bit more convoluted. As in the previous film, Age of Ultron is informed by events from the other Marvel movies, most importantly, Captain America: The Winter Soldier. The last remnants of Hydra are using Loki’s staff from the first Avengers movie (that they got from…somewhere…we aren’t told, though it’s kinda inferred, I guess…) to experiment on humans and the Avengers have “assembled” to get it back. They reclaim the scepter after an encounter with new villains/heroes Quicksilver and Scarlet Witch, and then return to New York to celebrate. In the process, Tony Stark discovers that the scepter has some unique properties that allow him to create an advanced artificial intelligence that, he hopes, could ultimately create machines to take over for the Avengers in defending Earth from threats. He gets in over his head and Ultron is born: a robot capable of self-replication that can evade capture through the internet, who goes on to produce more machines in an effort to cleanse the Earth of a grave threat (i.e. humanity). So, there’s four characters already. We’ve also got the Hulk, Black Widow, Captain America, Thor, Nick Cage, War Machine, Hawkeye, Maria Hill, Hawkeye’s random wife, Falcon, Vision, Peggy Carter, Hemidal and Dr. Selvig to bring into the mix. Just ruminate on that list for a moment. Each of those characters is attached to an actor, and not a “no name” actor. They don’t just show up for cameos: they show up for reciting lines. These are folks that generally command high dollar contracts and I can’t imagine what’s written into their Marvel Cinematic Universe contracts to get them all to show up in one movie. Unfortunately, this is the main problem I found with it: there are simply too many people. It’s all in service of putting them in their own movies (Captain America: Civil War, primarily), and they aren’t all in it for extended lengths of time (Falcon shows up twice…War Machine shows up a few times…). That is to say, the screen time isn’t massive for many of these additional folks, but every time they appear, that has to take time from the main Avengers from the previous movie, and I think this film suffers from it. The action and effects are still great (and yes, I think IMAX 3D was worth it for this one), and the story itself isn’t terrible, though it isn’t as strong as Winter Soldier was. While Winter Soldier makes a pretty clear point about government spying and whether threats should be eliminated before they’re actually guilty of something, this movie dances around its themes a bit more abstractly. It wasn’t quite as funny as the previous Avengers movie either, though there are a few chuckle-worthy moments. James Spader is pretty great as Ultron, though it kinda feels like he’s off in the background a bit more than I’d prefer. 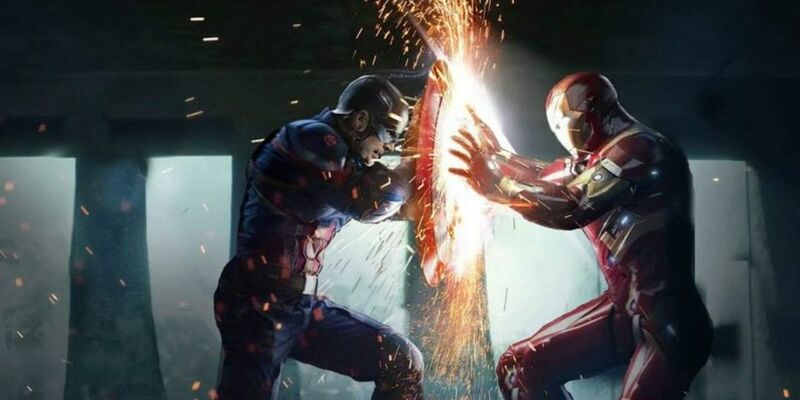 The film sets up the conflict between Tony Stark and Steve Rogers that’s going to come up in Civil War, though I think it’s yet another facet to pile up on top of an already large movie. Lastly, Scarlett Johansson has some great scenes, but quite a few of them this time are spent as a love interest or damsel-in-distress, so I think her character has been turned back compared with her appearances in previous MCU movies. Ultimately, I still enjoyed it. There were some awesome battles there interspersed, especially toward the end (obviously) and they even did a decent job working in some Agents of S.H.E.I.L.D. references. I just hope Civil War, which is looking to be even bigger than this movie, will rein in all the guest appearances. The guys that wrote and directed Winter Soldier (and did a great job) have Civil War and Avengers: Infinity War Parts I and II to hold together, so they’ve got their work cut out for them. You could say the X-Men franchise has been “hit or miss.” The first and second movies were quite good (though I don’t think the first one ages as well…I guess it did come out in 2000…). The third one was a train wreck. The spinoff, X-Men Origins: Wolverine was horrible. The sequel, The Wolverine wasn’t too bad, and the 1960s era reboot, X-Men: First Class, was alright, but I wasn’t floored by it like some people were (despite having some big-name actors, including James McAvoy, Jennifer Lawrence, and Michael Fassbender). Critically, the direction of the franchise was set with the first two movies, both directed by Bryan Singer. He moved on after those two films and entrusted the franchise with other folks, many of which didn’t take the care he did with the story and characters. Which brings us to X-Men: Days of Future Past. The fact that this movie exists at all is mind-boggling. Singer returns (and even retains the music and similar opening title sequence he used in the earlier two movies), the cast from the original trilogy of movies returns (including Patrick Stewart, Ian McKellan, Halle Berry, Shawn Ashmore, Ellen Page, and more), and they merged this cast with the new “first class” from the 60s era reboot, as this film relies heavily on time travel. With the effects and pedigree of actors (let alone sheer number of them, some without lines, even), it’s a wonder they did it in a $200 million budget. The movie begins in the future, with the original X-Men cast fighting a losing battle against the Sentinels, oversized robots designed to seek and destroy mutants and mutant sympathizers. It’s effectively a post-apocalyptic wasteland, as the Sentinels have destroyed much of civilization in their quest. Knowing their end is near, they hatch a plan to use Kitty Pride’s powers to send the consciousness of Wolverine (Hugh Jackman) back in time to a pivotal moment in history, where they believe the Sentinal threat stemmed from. As Wolverine doesn’t age like “normal” humans, it was a convenient way to have Jackman play both his older and younger self, bridging the gap between the old cast and new cast. Wolverine does his best to “bring the band back together,” 10 years after the events of X-Men: First Class (so, now 1973), in order to prevent history from continuing on the course we saw in the beginning. Overall, I thought it was a strong showing: definitely better than many of the other X-Men outings in the last 14 years (though probably not as good as the first two, in my book). The action sequences were somewhat infrequent, the story slowed a bit in the middle, and I definitely had to suspend my brain from thinking too hard about the consequences of time-travel (…’cause, yeah…it don’t work that way…). The acting and effects were all quite good, as expected, and I felt like all of the actors (and there were many) fit together remarkably well. Granted, there were too many actors to keep track of, but I was in enough awe that I was seeing them all up on the same screen that I didn’t care. Compared with previous X-Men movies, or even other comic book movies, this one got pretty dark at points. Singer did his best to make “the future” seem bleak, and he succeeded. Some of the original cast of X-Men were killed off by Sentinels in pretty gruesome ways. It was just pretty shocking to see it happen time and again, especially after seeing many of these characters in movies for the past 14 years. It was a bit unsettling, which I didn’t expect going in. Finally, they ended the movie in such a way that it could serve as a good “swan song” for the original X-Men cast. I highly doubt they’re going to let Hugh Jackman leave the Wolverine role (as, like Robert Downey, Jr and Iron Man, no one else can play that character), but many of the other actors are showing their age. I love Patrick Stewart and Ian McKellen, but they’re getting older and can’t pull these characters off for much longer. This movie takes place “in the future,” so it was an easy sell this time. I’m glad the next film, X-Men: Apocalypse, will focus on the younger cast, though I’ll miss the original crew. Let’s put it this way: I’m glad that this is the last time I see Patrick Stewart as Charles Xavier, rather than X-Men 3. There’s something about classic monster movies that I like. Can’t really place it, to be honest. They aren’t particularly scary (just a dude in a large rubber suit, frequently…), but for people at the time these movies were popular 60+ years ago, they were probably terrifying. Godzilla is perhaps the most enduring of franchises, undergoing multiple evolutions and reinventions over the decades, for better or for worse. This new interpretation of the franchise was set up to bring us into the summer’s blockbuster season: big cast, big effects, big destruction, the works. It does a pretty good job of playing off the original movies, where nuclear testing in the South Pacific leads toward ancient monsters waking up from a slumber lasting millenia. Brian Cranston stars as a scientist running a nuclear power plant in Japan back in 1999, one that is summarily destroyed when some “thing” causes a melt down. He spends the intervening years between then and now working on his conspiracy theory of what was responsible. His son, a survivor of the catastrophe, doesn’t believe him, but soon learns the truth as he and the rest of the military chase the beast(s) across the Pacific to San Francisco. As the previews indicate, Godzilla is not the only monster the movie will deal with, and when they finally fight near the end of the film, the results are pretty spectacular. Unfortunately, the focus of the film is on the humans and how they deal with the monsters. The director, Gareth Edwards, is a relative newcomer, yet did a good job “teasing” the reveal of Godzilla until the latter portion of the film. Though I appreciate that aspect of the movie, it also meant that it took a long time before we really saw Godzilla himself. We saw the other monster, but not the one headlining the movie. Once he finally showed up, we got to see monster-on-monster fighting that all too rarily shows up in major motion pictures (aside from the mostly great Pacific Rim last year). In the end, I enjoyed the movie, but felt it dragged quite a bit in the middle. It started off pretty good and really “stuck the landing” by the end, yet the middle tried going the route of “character drama” without having any truly compelling characters to care about. They weren’t bad, per se: I just didn’t care. So, it’s a good rental, for sure. I’m not mad I spent money on it in theaters (though I thought the 3D was largely unnecessary…), but I could understand waiting a bit to see it. Worth seeing, but not worth going out of your way. I was never a big Captain America fan. It was a comic series that debuted in 1941, in a time far removed from anything I could relate to. He was Marvel’s All-American Hero, able to both compete with DC’s Superman and serve as a rallying cry for America’s involvement in World War II. Spider-man was a lot easier for me to identify with: a teenage superhero that was just as concerned with saving the city as he was with finishing his homework. As such, I skipped this character’s first outing on the big screen, 2011’s Captain America: The First Avenger. By most accounts, it was actually a pretty good movie. Not great, but solid. Having watched it twice since its release, it’s still kinda low on my totem pole of comic book films. However, after a series of pretty impressive trailers, and The Avengers, I gave the new movie, Captain America: The Winter Soldier, a shot. In short? It was good. Really good. Arguably The Dark Knight good. When I make that particular comparison, I mean that the film transcends “comic book movie” tropes and instead offers a good film for a larger audience that doesn’t have to rely heavily on its comic book roots. Winter Soldier is far closer to a movie like The Bourne Identity than anything else, with choreographed hand-to-hand action sequences, elaborate car chases, and a character evading capture from his own organization after it’s taken over from within. The plot vacillates between a focus on the titular Winter Soldier character and the bulking up of S.H.E.I.L.D. to use predictive surveillance to eliminate threats before they emerge. The latter has relevance to our current political climate and its handling of the NSA and other spy programs, and it’s interesting that they looked at this theme at all. However, the movie ultimately descends into typical comic book fare, leaving the spy program focus somewhat hollow. They never quite commit to either story line. That isn’t to say the plot is bad, but that some additional focus, or a choice between the two themes, may have served it better. The generally strong story is also held up in large part by the action set pieces. If you were to watch Iron Man or Thor, you’d be looking at a green screen for the majority of the movie. In The Winter Soldier, you’re mostly looking at Washington, D.C. and Cleveland (…made up to look like D.C…). You don’t see Captain America flying through the sky, firing beams from his hands: he just punches and flips and throws dudes through the air. Granted, with super strength and agility…but really, it’s closer to a martial arts film at parts than it is to a traditional comic book movie. It makes for a nice change of pace from other recent endeavors. That said, the end of the movie ends up going full-on comic book freak show, with lots of spectacle and a series of engineering decisions that could only possibly serve as a set-piece, rather than anything practical. Also, I saw it in 3D and, while it didn’t detract from the experience, I didn’t feel it was really necessary. Another thing worth mentioning is its integration with Marvel’s Agents of S.H.E.I.L.D. television series, currently airing on ABC. The series itself was slow to start, but its most recent episode took place during Winter Soldier, so we see what else was happening at the same time, and also how it ties in with the events of the film somewhat directly. It’s synergistic planning on Marvel’s part, but ratings for S.H.E.I.L.D. have been lacking and may not be renewed, yielding the potential for this unique feature of the Marvel Universe to be short-lived. Ultimately, Captain America: The Winter Soldier was pretty great. I think I’d still keep The Dark Knight up their above it as the best “mainstream” comic film (as it never quite embraced its comic book-ness like Winter Soldier eventually does), and The Avengers as my favorite comic movie of all time, but this one was quite strong. Definitely worth a look.